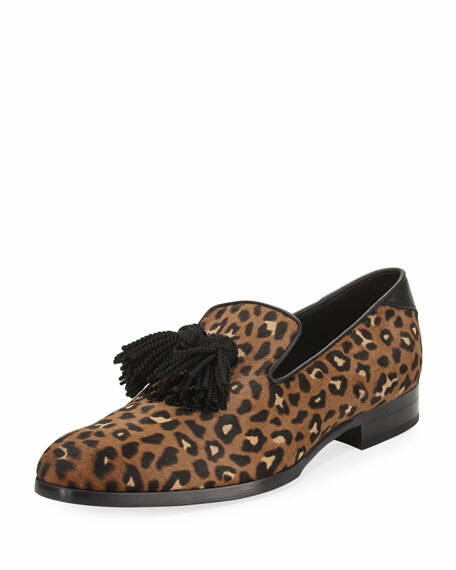 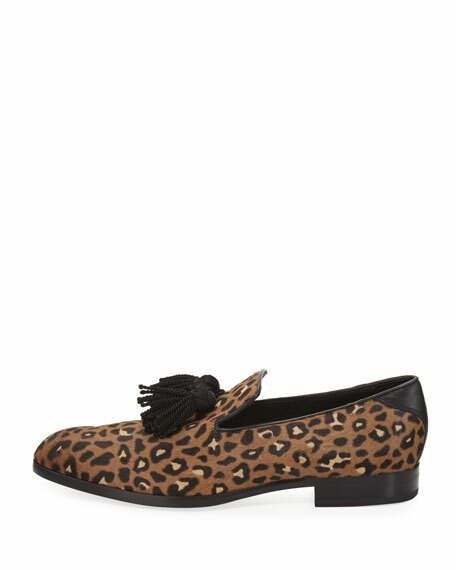 Jimmy Choo "Foxley" loafer in leopard-print dyed calf hair (France). 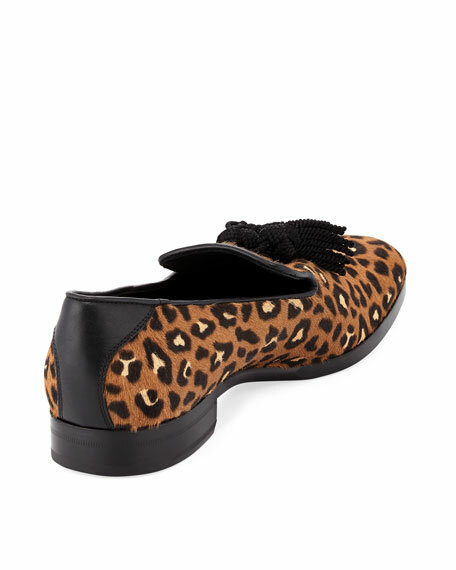 Leather topline and back stay. 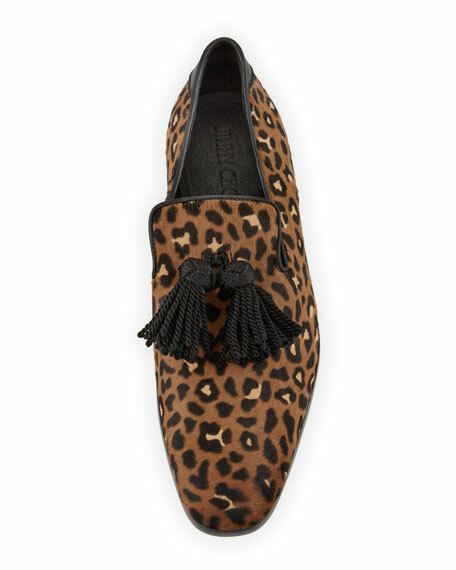 For in-store inquiries, use sku #2282504.